El Dr. Jeremy W. Bachelor es Profesor de Español como Lengua Extranjera y Coordinador de Lenguas Modernas en Heartland Community College (Centro Universitario Heartland). Obtuvo su máster en español con especialización en la didáctica de lenguas extranjeras en Illinois State University y su doctorado en la lingüística española aplicada en UNINI-México. Además de sus funciones en Heartland, Jeremy imparte cursos de postgrado en el programa de Máster en la Enseñanza del Español de Southern Oregon University durante los veranos y también es el director de las tesis para este programa. Anteriormente, Jeremy enseñó español a tiempo completo en Olivet Nazarene University, donde supervisó a los futuros profesores de español durante sus prácticas de enseñanza. Sus intereses de investigación incluyen la pragmática, la tecnología, el aprendizaje en línea en el aula de L2 y la evaluación de L2. Adelward, V., (1988). Defendants’ interpretation of encouragements in court: The construction of meaning in and institutionalized context. Journal of Pragmatics, 13, 741-749. Bachman, L. F., y Palmer, A. S. (2010). Language assessment in practice: Developing language assessments and justifying their use in the real world. Oxford, Inglaterra: Oxford University Press. Bardovi-Harlig, K. (2001). Evaluating the empirical evidence: Grounds for instruction in pragmatics? En K. Rose y G. Kasper (Eds. ), Pragmatics in language teaching (pp. 13-32). Cambridge, Inglaterra: Cambridge University Press. Barron, A. (2003). Acquisition in interlanguage pragmatics: Learning how to do things with words in a study abroad context. Amsterdam, Netherlands: John Benjamins. Blum-Kulka, S. (1991). Interlanguage pragmatics: The case of requests. En R. Phillipson, E. Kellerman, L. Salinker, M. Sharwood Smith y M. Swain (Eds. ), Foreign/Second language pedagogy research. A commemorative volume for Claus Faerch (pp. 255-272). Clevedon and Philadelphia: Multilingual Matters. Blum-Kulka, S., House, J., y Kasper, G. (1989). Cross-cultural pragmatics: Requests and apologies. Norwood, N.J: Ablex Pub. Corp.
Brown, P. (2013). La estructura conversacional y la adquisición del lenguaje: El papel de la repetición en el habla de los adultos y niños tzeltales. En L. de León Pasquel (Ed. ), Nuevos senderos en el estudio de la adquisición de lenguas mesoamericanas: Estructura, narrativa y socialización (pp. 35-82). México, México: CIESAS-UNAM. Brown, P., y Levinson, S. (1978). Universals in language use: Politeness phenomena. En E. N. Goody (Ed. ), Questions and Politeness (pp. 56-295). Cambridge: Cambridge University Press. Cenoz, J., y Valencia, J. F. (1996). Cross-cultural communication and interlanguage pragmatics: American vs. European requests. En L. Bouton y Y. Kachru (Eds. ), Pragmatics and Language Learning, Monograph 7(pp. 41-54). Urbana-Champaign, IL: University of Illinois Division of English as an International Language. Crystal, D. (1985). A dictionary of linguistics and phonetics. Oxford, Inglaterra: Blackwell. Culpeper, J. (2009). English language and linguistics. Culpeper, J., Katamba, F., Kerswill, P., McEnery, T. y Wodak, R. (eds.). Basingstoke: Palgrave, 523-535. Díaz Pérez, F. J. (2003). La cortesía verbal en inglés y en español: actos de habla y pragmática intercultural. Jaén: Universidad de Jaén. Ellis, R. (1994). Pragmatic aspects of learner language. En R.B. Kaplan (Ed. ), Studies in Second Language Acquisition. Hong Kong: Oxford University Press. Garton, M. (2000). The effect of age, gender, and degree of imposition on the production of native speaker and non-native speaker requests in Hungarian (tesis sin publicar). Bloomington, IN, Indiana University. Joseph, J. E. (2012). Saussure. Oxford, UK: Oxford University Press. Kashiwazaki, H. (1993). Hanashikake koudou no danwa bunseki: Irai youkyuu hyougen no jissai o chuushin ni. Nihongo Kyooiku, 79, 53-63. Langer, B. D. (2011). 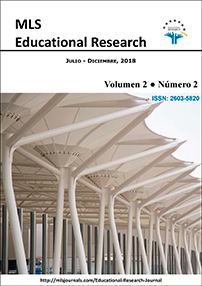 The effects of pragmatic instruction in the Spanish language classroom (tesis sin publicar). University of California, California, Estados Unidos. Martín Peris, E., Atienza Cerezo, E., Cortés Moreno, M., González Arguello, V., López Ferrero, C., y Torner Castells, S. (2008). Diccionario de términos clave de ELE. Madrid, España: SGEL. Martínez-Flor, A., y Usó-Juan, E. (2010) The teaching of speech acts in second and foreign language instructional contexts. En A. Trosborg (Ed. ), Pragmatics across Languages and Cultures (pp. 423-442). Berlín, Alemania: Mouton de Gruyter. Mey, J. (1993). Pragmatics. An introduction. Oxford, Inglaterra: Oxford University Press. Rodríguez, S. (2001).The perception of requests in Spanish by instructed learners of Spanish in the second- and foreign-language contexts: A longitudinal study of acquisition patterns (tesis sin publicar). Indiana, Indiana University. Rose, K. R., y Kasper, G. (2001). Pragmatics in language teaching. Cambridge, Inglaterra: Cambridge University Press. Sameshima, S. (1998). Communication task ni okeru nihongo gakusyusha no tenkei hyougen/bunmatsu hyougen no syuutokukatei: Chuugokugo washa no “ira” “kotowari” “shazai” no baai [The acquisition of fixed expressions and sentence-ending expressions by learners of Japanese]. Nihongo Kyouiku [Journal of Japanese Language Teaching], 98, 73-84. Schmidt, R. (1993). Consciousness, learning and Interlanguage pragmatics. En G. Kasper y S. Blum-Kulka (Eds. ), Interlanguage pragmatics (pp. 21-42). Nueva York: Oxford University Press. Schmidt, R. (1995). Consciousness and foreign language learning: A tutorial on the role of attention and awareness in learning. En R. Schmidt (Ed. ), Attention and awareness in foreign language learning (pp. 1-63). Honolulu, Hawái: University of Hawai'i. Searle, J. R. (1969). Speech acts. An essay in the philosophy of language. Cambridge: Cambridge University Press. Selinker, L. (1972). Interlanguage. International Review of Applied Linguistics in Language Teaching, 10(4), 209-241. Tatsuki, D., Kite, Y., y Maeda, J. (2007). What kinds of pragmatic information are included in language textbooks? Trabajo expuesto en el 17th International Conference on Pragmatics and Language Learning. Honolulu, Hawaii. Thomas, J. (1995). Meaning in interaction: An introduction to pragmatics. Londres, Inglaterra: Longman.